With quiet smooth operation and a heavy-duty steel frame this full electric bariatric bed from Drive Medical ensures you peaceful rest without skimping on strength and safety. The split-pan design allows the bed ends to be easily set-up without tools or removed when not in use. 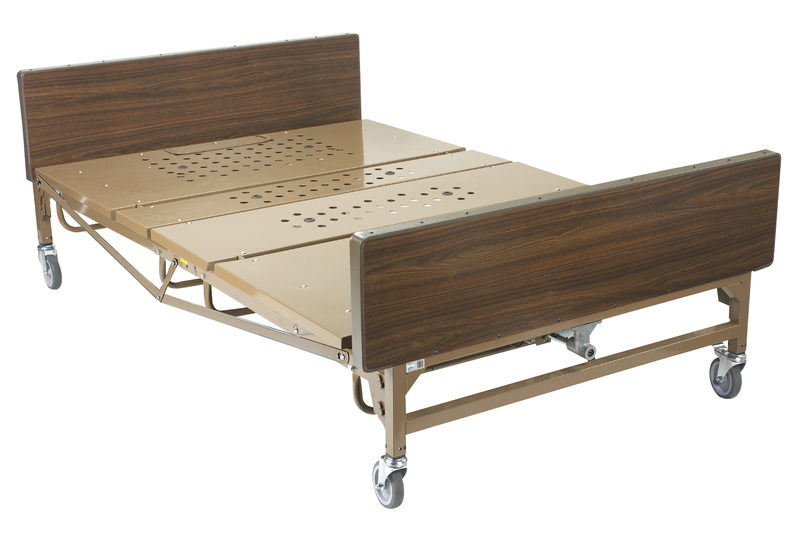 The 54" large sleep surface provides additional comfort compared to conventional hospital beds and is able to accommodate a weight capacity of 1 000 pounds. The easy to reach hand-control allows for multiple bed positioning able to maximize your comfort level. As a standard this bed comes equipped with an emergency manual crank.